Leader producer of DIY furniture in Turkey, and pioneer of innovation in its sector for over 24 years, Adore Furniture signs for the first time and gets the official distribution in Turkey of the DXRacer games chairs, the world’s leading choice of the professionals online players. 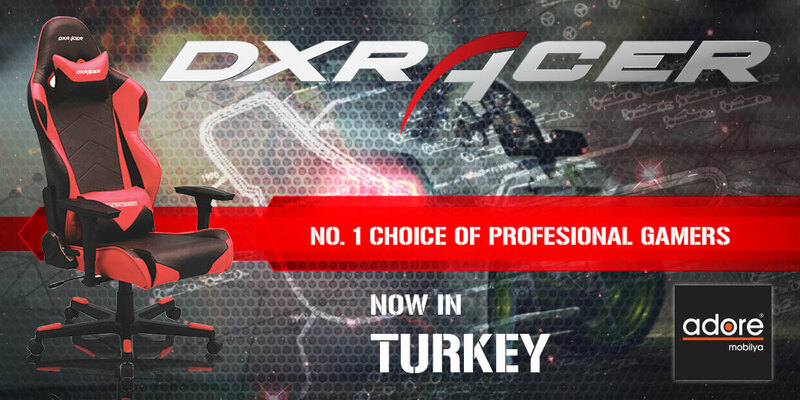 Adore Furniture owns Turkish distribution of the DXRacer chairs. Adore will launch the DXRacer chairs during Gamex 9.th Fair of Digital Games, and will present to fans, its new products between the 4.th and 7.th December at Lütfi Kırdar Istanbul Convention and Exhibition Center. Adore Furniture’s Business Development Director and Member of the Executive Committee also said that during the fair, besides DXRacer chairs, Adore furniture would present bedroom products for young people, by this way the products on display at the booth will correspond to Gamex fair’s dynamic spirit and surprises.